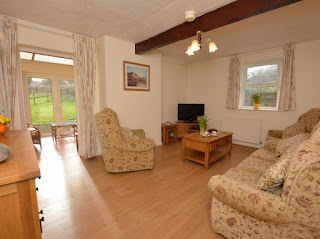 Bluegrass Cottages offer charming self catering accommodation in Chancery near Aberystwyth. Our cottages in Ceredigion are perfect for a tranquil holiday away. The cottages are great for elderly guests and we have EC charging points for electric cars. Our wonderful cottage is perfect for a relaxing break. Downstairs there is a well-equipped kitchen with a range of appliances to suit all your needs. In the lounge you can relax in front of the 4K Smart TV. There is also a lounge, conservatory, shower and dining room which also acts as a games room. Upstairs there is a double room, twin room, single room and bathroom. Outside there is a lovely enclosed garden with seating and a BBQ. From here you can enjoy glorious countryside views. This lovely ground level cottage comes with a twin and a single bedroom. Both rooms share a bathroom with a shower over the bath. The lounge has a 4k Smart TV and there is also a dining room. A utility room between The Granary and The Stable has a washing machine, airier, iron, ironing board and a deep freezer. 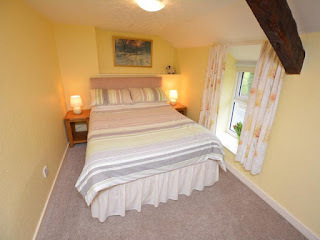 Our wonderful ground level cottage will suit all your needs. Bedrooms consist of a king and a single room. The lounge/dining room comes with a 4K smart TV. The kitchen is well equipped with a range of appliances and the bathroom has a shower over the bath. You can enjoy lots of excellent attractions in the local area. You walk or take the Cliff Railway up Constitution Hill and enjoy beautiful views of the town. Alternatively, explore what is left of the old castle. The castle grounds are perfect for a picnic. The grounds also have a playground area and crazy golf. Dolphins can sometimes be seen on South Beach and boat trips can be organised from New Quay.